I am always on the lookout for anything that can help keep the mosquitos away. I am the person who can be in a group of 20 people, and I will be the one that gets bitten from head to toe. 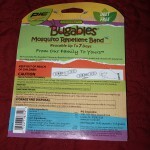 I ran across the Bugables Mosquito Band and thought I would give it a try. First of all, the bands come in different colors which is nice. I personally just chose the black to keep it neutral. After putting the band on my wrist (it’s adjustable by the way), I liked the way it felt… only slightly bulky kinda like a parachord bracelet or a large watch. The real test was only steps outside my back door. I wore it out there for the better part of the day and I wasn’t exactly pleased. I did receive a few bites however it subsided for a little while. Then after about 2 hours hanging out back there, it started up again. 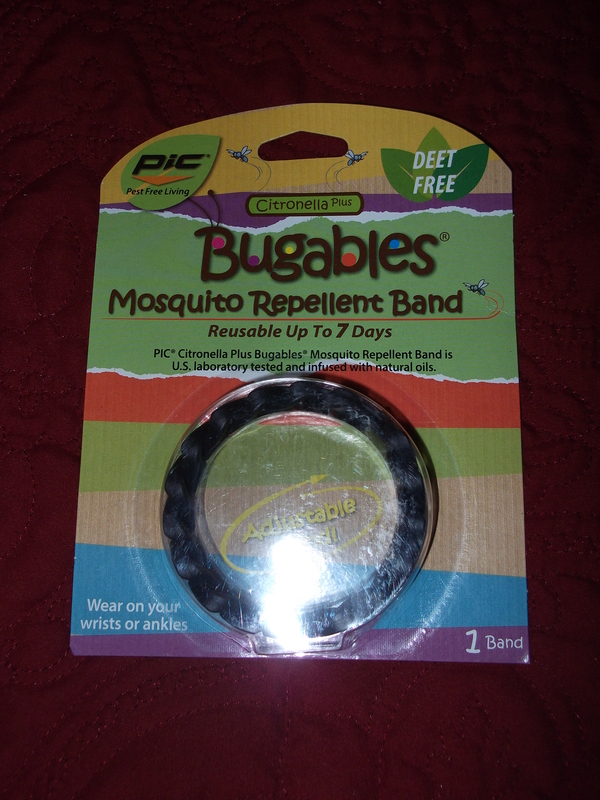 This product is Deet Free which is never really a good sign that it will work very well. 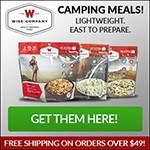 For someone that only gets the occasional bites, this product might be better. 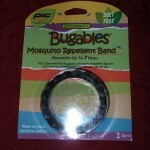 But for someone like me who is a mosquito buffet, I probably need some more ammunition in addition to this product. 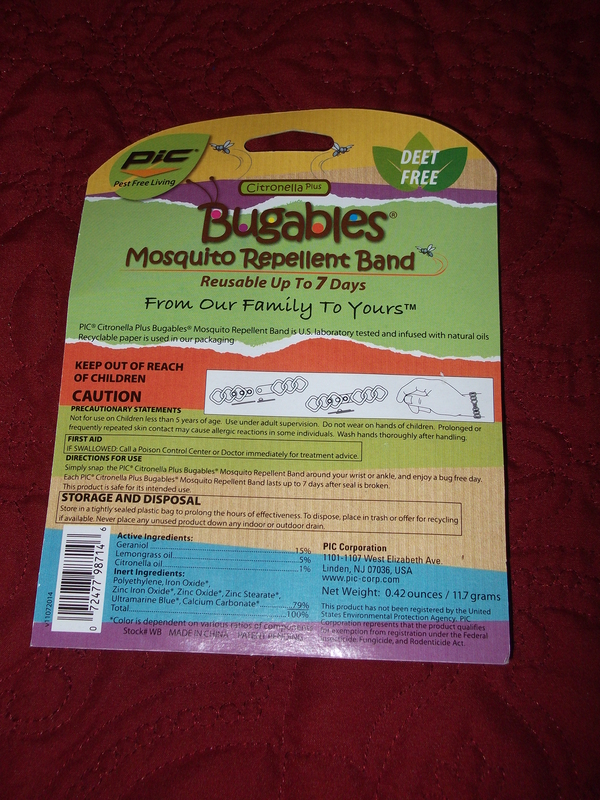 This entry was posted in Gear Reviews and tagged Bug Repellant, Mosquito Repellant, Pest Control. Bookmark the permalink.